Lenovo has launched a new flagship smartphone, the Moto Z2 Force . Like the previous ‘Force’ smartphone in the Moto Z series, the Moto Z2 Force Edition – as the company calls it – sports a ShatterShield display that’s guaranteed not to crack or shatter. As rumoured, the smartphone also bears dual rear cameras and carries forward the Moto Z series’ support for Moto Mod accessories. 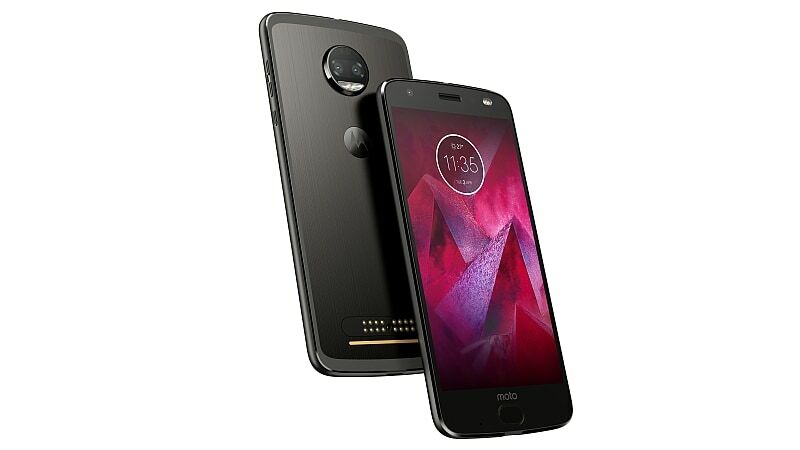 Key specifications of the Moto Z2 Force include the Qualcomm Snapdragon 835 SoC, up to 6GB of RAM, and Gigabit LTE connectivity. Alongside the smartphone, the company also officially launched the Moto 360 Camera Moto Mod for the US market. The smartphone will go on sale across various carriers in the US from August 10, with pre-orders now open for buyers in the country. Unlocked, the price of the Moto Z2 Force starts at $799 (roughly Rs. 51,500), with monthly plans starting from $33 (roughly Rs. 2,000). It will be available in Fine Gold, Lunar Grey (for T-Mobile only), and Super Black colour variants. The smartphone will go on sale across various carriers in the US from August 10, with pre-orders now open. The Moto Z2 Force will go on sale in Mexico, Brazil, Europe, Middle East, and Africa from “later this summer”, the company says. There’s no word yet on India price or release date of the Moto Z2 Force. The new Moto is built out of 7000 series aluminium, and its 6.1mm thick unibody design also forgoes the 3.5mm headphone jack to use a USB Type-C port instead – a 3.5mm to USB Type-C adapter is included in the box. The super-slim profile also restricted the company to a relatively undersized 2730mAh battery, and a water-repellent nano-coating has been added. The back panel features pogo pin connectors for the Moto Mods. The Moto Z2 Force bears dual 12-megapixel rear cameras, with one capturing light in colour and the other in monochrome. Both sport Sony IMX386 sensors with 1.25-micron pixels, and an f/2.0 aperture. The setup also bears PDAF, laser autofocus, and a CCT dual-LED flash. With the setup, users can enjoy features like selective focus (Bokeh), selective black and white, background replacement, and real-time and post shot depth. As for the front camera, the Moto Z2 Force sports a 5-megapixel sensor with an f/2.2 aperture, 85-degree wide angle lens, and LED flash module. The smartphone’s inbuilt storage is expandable via microSD card (up to 2TB). Connectivity options include 4G LTE, dual-band Wi-Fi 802.11ac, Bluetooth v4.2 (v5.0 support to be added with Android O update), NFC, GPS/ A-GPS, and USB Type-C. Sensors on board include an accelerometer, ambient light sensor, barometer, gyroscope, magnetometer, and proximity sensor. The 2730mAh battery comes with a 15W TurboPower charger. The Moto Z2 Force measures 155.8x76x 6.1mm, and weighs 143 grams. Finally, we come to the new Moto 360 Camera Moto Mod can capture 4K 360-degree video alongside 3D audio. Apart from that, users will also be able to capture 150-degree wide-angle still images with the camera. To recall, it was unveiled alongside six Moto Mod additions earlier this month. It has been priced at $299 (roughly Rs. 19,300), and will be available globally from August 10.